Cloudberry for Windows enables service providers an opportunity to offer Microsoft SQL Server cloud backup and restore to their customers. 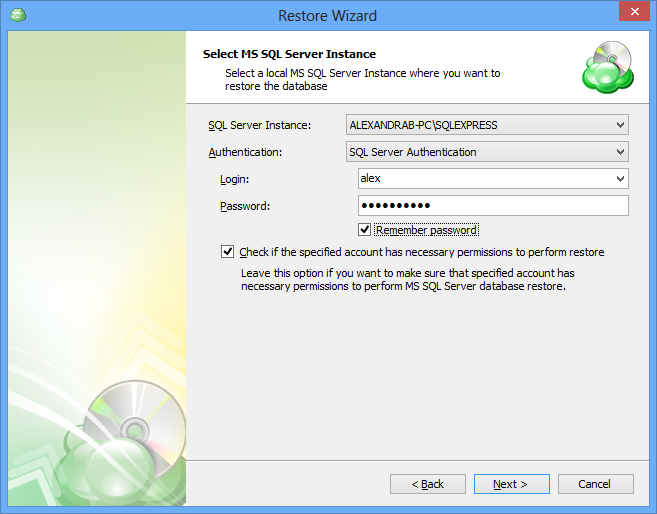 This article explains how to restore MS SQL data with Cloudberry for Windows. 1. 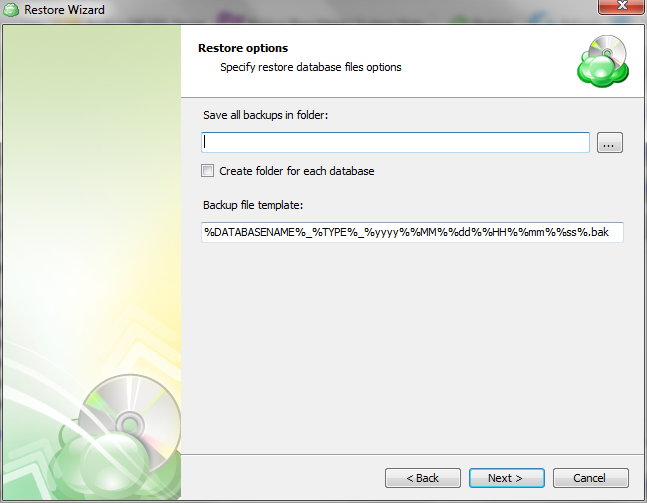 Run Managed Backup client. 2. 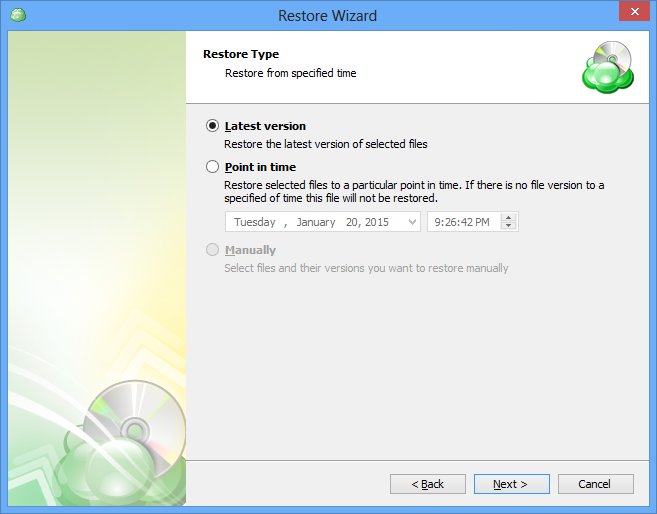 Click the "Restore" icon. 3. 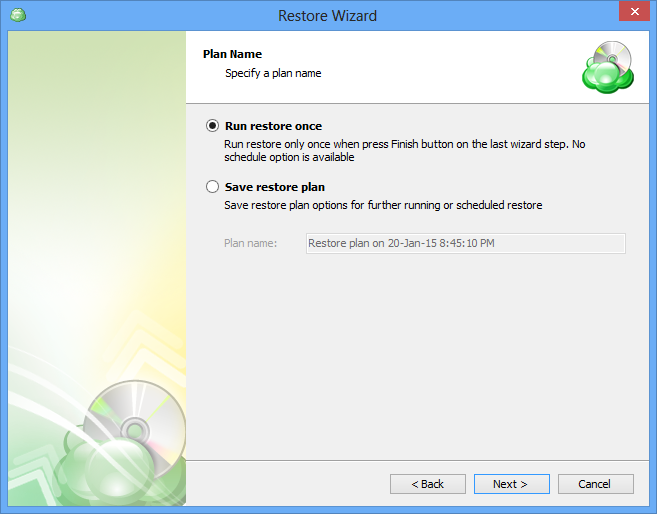 Use the Restore Wizard to select a cloud storage where to restore from. 4. 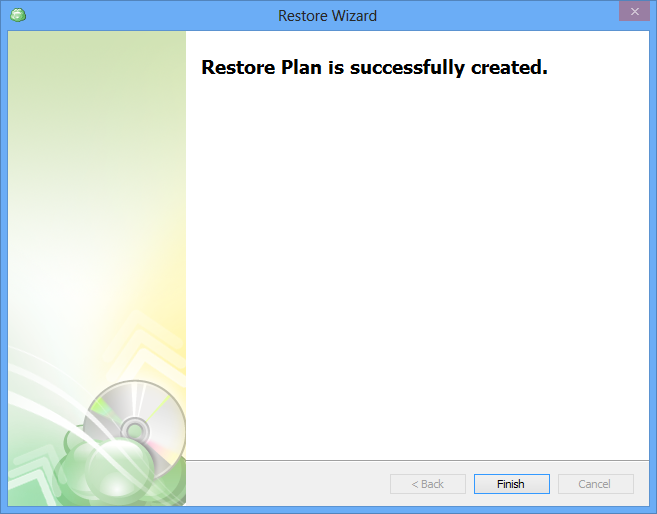 On the "Plan Name" screen, select whether to run the restore just once or to save a created restore plan for the further runs. Click "Next". 7. 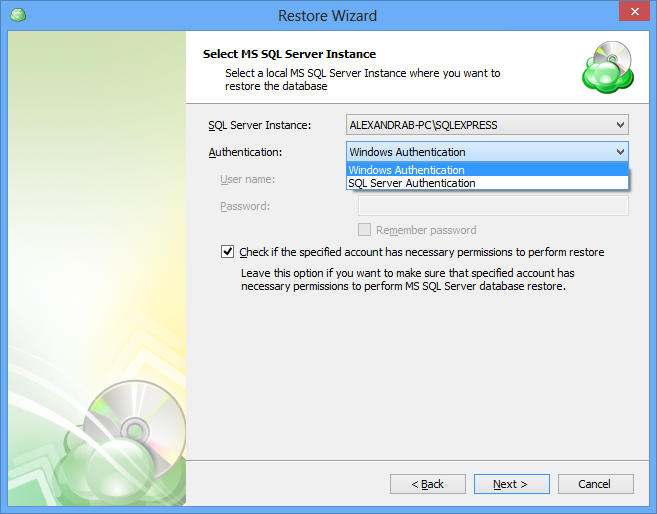 For Restore MS SQL Server Database: select SQL Server Instance from the drop-down list and choose the type of Authentication. Specify your Login and Password. 8. 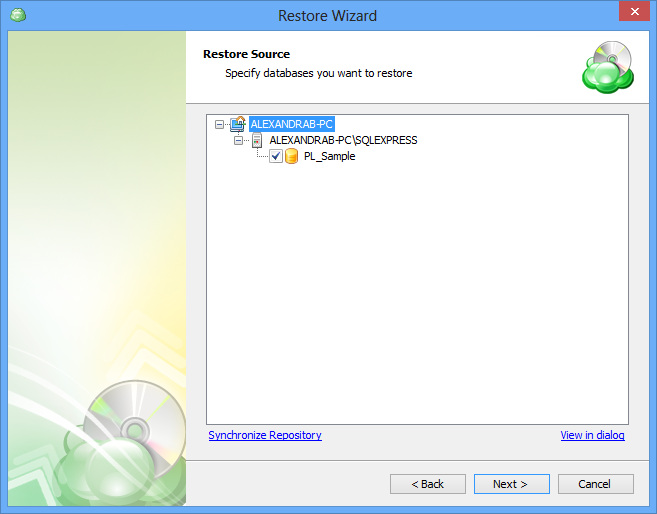 Select the databases to be restored. Click "Next". 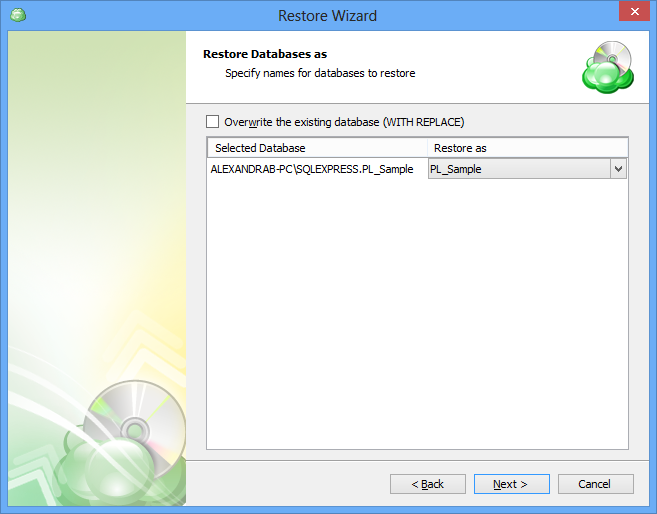 - You can overwrite existing database using "Overwrite the existing database" option. Select Data file folder and Log file folder. Specify a File name template. 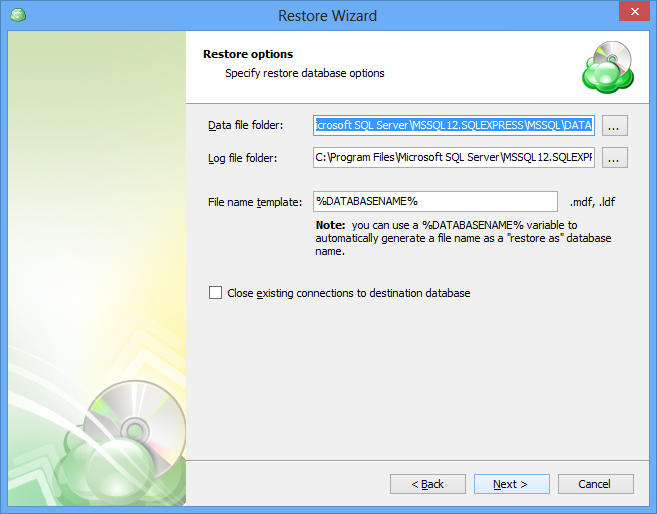 Specify a destination folder and a backup file template. Click "Next". Select the "Decrypt encrypted files with the following password" option. Enter your password and re-enter in to confirm. Click "Next". 14. 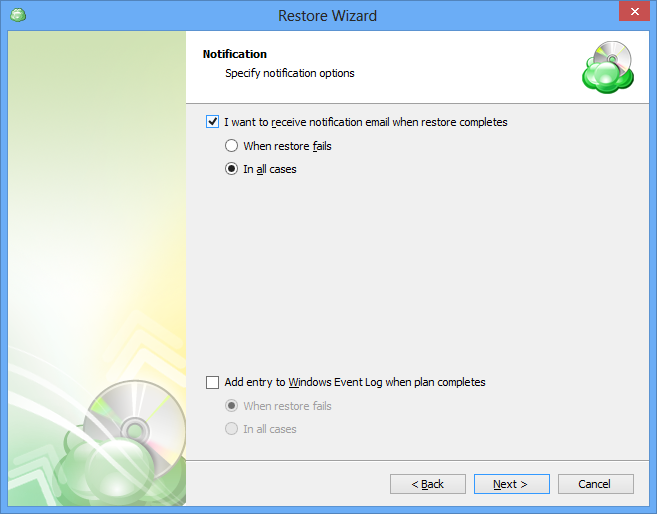 Specify the notifications options. Click "Next". 15. Review the summary. After you are sure that the selected options suits you, click "Next". 16. 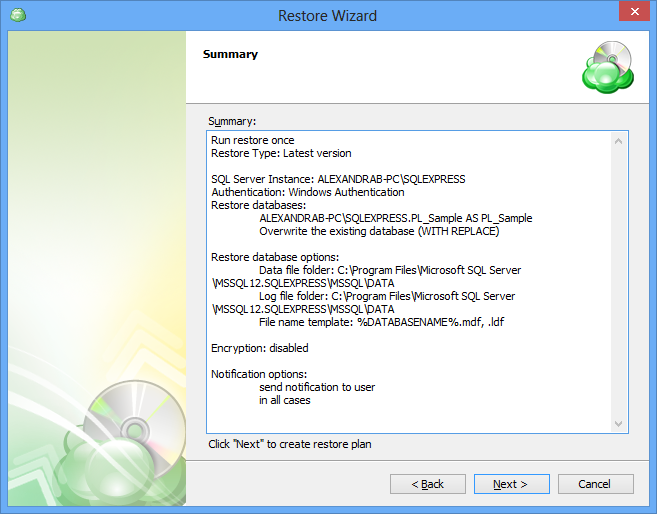 Click "Finish" to complete MS SQL restore plan creation. 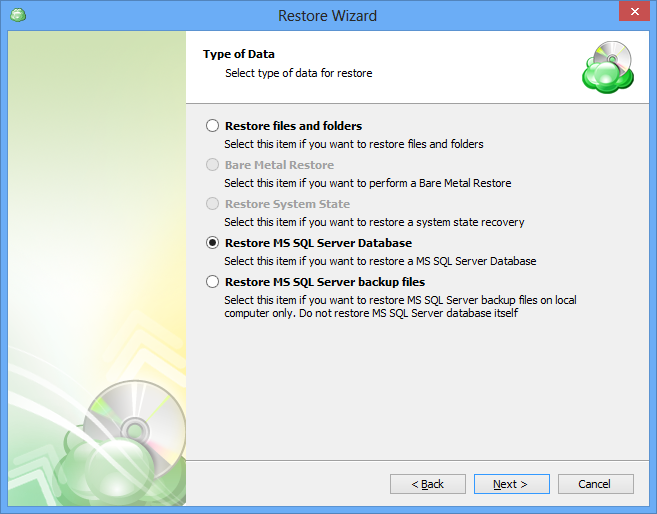 Once you have created the MS SQL restore plan, you can run it immediately or whenever you want.